It comes as a surprise to us that any prepackaged cocktail could strike the authenticity of its namesake. But Hochstadter's Slow & Low--a ready-made rye Old Fashioned--does just that. 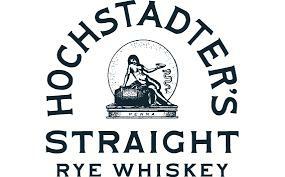 While not the best Old Fashioned we've ever tasted, Hochstadter's is pleasantly full-flavored and more than palatable. Slow & Low sets out to be a cocktail for whiskey drinkers, which explains the 84 proof, extra dry content and the dominant rye warmth. But the brand also carries a historic past. Slow & Low is inspired by their own take on the Rock and Rye, a 19th century bar staple where tenders would pair rock candy with rougher whiskey to take the edge off. Hochstadter's perfected a pre-made version and began distributing bottles of it in 1884. Now, with Slow & Low, aged rye whiskies are blended with air-dried naval orange peel, raw honey and the horehound herb. All are stirred slowly over a low-burning fire, allowing the ingredients to integrate. The quality of the components contributes to the overall success of the concoction. The most important element, however, is Slow & Low's twofold ease. First, you can drink it neat or over ice. Simply pour and enjoy. Second is the cocktail's smoothness, which allows for widespread drinkability; people afraid of whiskey need not fear the Slow & Low. This Cooper Spirits launch brings a classic cocktail to your liquor cabinet without any fuss. A direct and effortless take on a complex mixed spirit, Slow & Low is ready as soon as it's uncapped.